Do You Live in The Unhappiest Place in The UK? There is a saying that if it makes you happy, no one else’s opinion should matter. 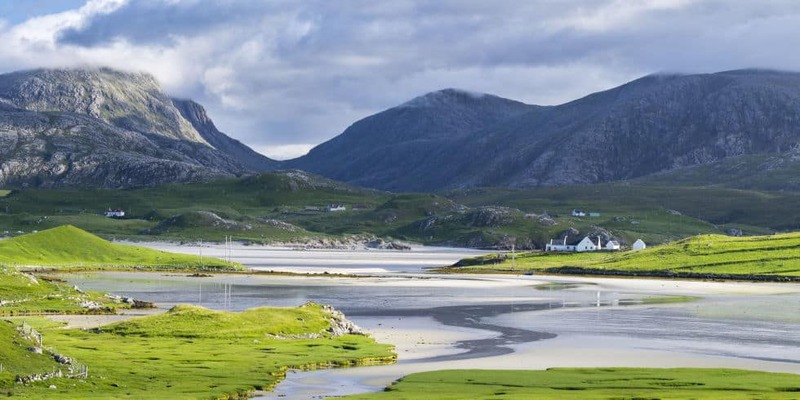 You may be hugely content in your hometown, but you might be interested to know that only if you live in the Outer Hebrides can you boast about living in the happiest place in Britain. Yes seriously, the Outer Hebrides – a windswept set of islands off the coast of Scotland – was officially recognised as the happiest place in Britain when the Office for National Statistics published its 2016 wellbeing analysis. Not that it is a life that suits everyone, but it does sound like a recipe for contentment if you choose to share your breathtakingly beautiful island with only 1,000 other people, and have acres of land to walk, and no traffic, and therefore no commuting of any kind. Talking of commuting, it will probably not come as a shock that in the report by the Office for National Statistics our beloved capital did not do well, as London was judged to be an “anxious” place to live. This survey by ONS has been carried out every year since 2011. It uses various criteria to measure wellbeing in terms of how people describe their psychological health. So, it covers such things as relationships, sense of well-being, economy and environment. The good news for everyone is that satisfaction with life, in general, is going upwards in the whole of Britain. Of course, it will be interesting to see if this trend continues through the latter half of 2017 and into 2018 with so much uncertainty around Brexit. Where are the unhappiest places to live in the UK? So, if topping off the charts in 2016 were the Outer Hebrides, where were the no-so-happy culprits who were lurking at the bottom of the league table? Well, the good folk of East Northamptonshire (which includes the towns of Thrapston and Rushden); Fenland, in Cambridgeshire; and Burnley in Lancashire are bunched at the bottom. Liverpool, Wolverhampton, Corby and Greenwich all scored low, and as previously mentioned London did particularly badly in terms of anxiety levels. In a different survey conducted by the European Commission in 2016, it was the Geordies who were celebrating, as Newcastle was found to be the happiest city in the UK and the tenth most cheerful in Europe. That initiative also measured quality of life and “the toon” (Newcastle) performed well when residents were asked to rank how satisfied they were with their lifestyle. Ironically in that survey, London fared well. It even beat Newcastle in a measurement of job satisfaction. And just in case you fancy migrating to the continent, you may be interested to know which cities in Europe came out above Newcastle. The top three cities in Europe for “happiness” were Aalborg (a maritime city in Denmark), Copenhagen and the Icelandic capital Reykjavik. While we are on the subject of league tables, particularly if you are currently looking for the best way to sell your house fast and relocate, you might be curious to know which is the most expensive destination in the UK. Most people’s first thought would be London. If that’s what sprang to your mind, you would be wrong! 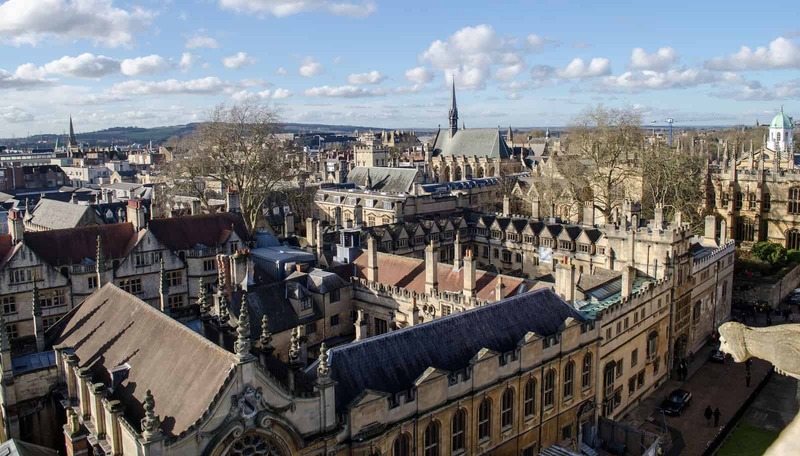 In an annual affordability analysis carried out by Lloyds Bank, the famously expensive London was pipped to the post by the dreaming spires of Oxford. If you are planning to move to Oxford, you will be looking at an average house price of £385,372, which is 10.7 times average yearly earnings in the UK. And the least expensive places to live according to Lloyds? Well, set your sights to Stirling in Scotland, the most affordable city in the UK, with average property prices of £173,847 (only 3.7 times the average salary). You can also get good value for money on property in Belfast and Londonderry, Bradford and Durham. The report also highlighted that Salford, near Manchester, has seen an impressive house price increase of 51%. Though this is all very interesting (especially to property geeks like us), there is a lot to be said for the old saying that “home is where the heart is”. Or in the wise words of the Dalai Lama, “happiness mainly comes from your own attitude, rather than from external factors”. Being happy in our own home comes from lots of different things. Let’s be honest, wherever you live in Britain, it can be a frustrating and upsetting place if you can’t find a buyer for your house and need a quick sale. Getting a house sold can be more than tricky, which is why we also put together a blog if need to sell a house fast, so you don’t get any nasty surprises through your selling process.The good news is that we buy any house, whether you live in a property high up the “happy scale” or at the bottom of the league table, in the most affordable cities or the costly locations. Wherever you live, we buy any house, and that should put a smile on your face.